Unlabelled Touchjet turn your normal TV into SmartTv. 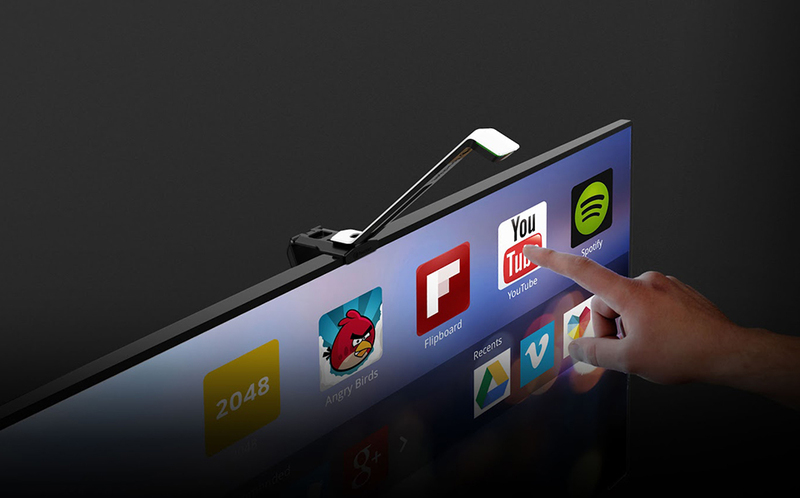 Touchjet turn your normal TV into SmartTv. Technology is updating day by day around the world with 4g speed now it's time to talk about Touchjet. 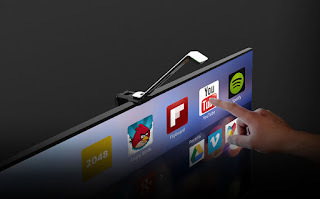 Turn your tv into Smart Tablet with help of TOUCHJET yes Touchjet Wave turns tv into a touchscreen Tablet you can make your tv as Android pc with touch interactivity. Touchjet has a dashboard with the help of it you just stay connected to the digital world by sitting at your home. Touch jet as interactive White Board which you use at your office's and classroom's too,coming to controlling it as remote control and with fingerprint biometric,touchjet got built in camera with mic so that you can make a video call on skype,we can play music offline,watch videos on youtube and you can download and play games.